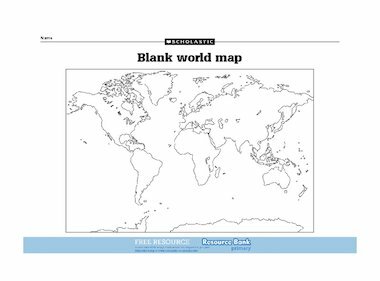 A handy blank world map for use with your class, with labels to show continents and oceans. This is a good, clearly drawn map suitable for KS1. It would be helpful if the outline of Europe was drawn however, as I find that some children find it difficult to transcribe this from a reference map. This was just what I was looking for – thanks!